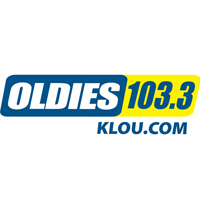 Update 5/31: The rebranding of KLOU took place today as “Rewind 103.3” returned to the “Oldies 103.3” moniker. Along with the name change, the station has dropped most of its 80s music for an increased amount of 60s. Original Report 5/6: Clear Channel Classic Hits 103.3 KLOU St. Louis has gone under a number of rebrandings over the past decade. From “Oldies 103.3” to “My 103.3″ to “103.3 KLOU” to its current incarnation of “Rewind 103.3“, the station has revamped on schedule every couple of years. Now it looks as though the station will go back to its roots as “Oldies 103.3“. The company has registered Oldies1033FM.com, OldiesStLouis.com, OldiesSaintLouis.com, StLouisOldies.com, and SaintLouisOldies.com. This is consistent with Clear Channel’s trend of returning its Classic Hits stations to the “Oldies” branding as it has over the past year in San Francisco, Seattle, Norfolk, and Jacksonville. The oldies never left St. Louis, they’ve been on AM 1430 the whole time KLOU was flirting with a younger audience.